What if waste, as we know, totally disappears from the face of the earth? If you, at this very moment, try to find the exact definition of Corporate Social Responsibility there’s a high probability that you would be confused. It’s a highly flexible concept, that evolves differently changes from time to time and from company to company. The basic concept of CSR took birth in the mid-20th century. Since then it has been established as standard aspect of most successful companies, becoming more in vogue as a best practice in the last decade. India has lots of socio-economic challenges to be dealt with. By making CSR mandatory for certain categories of specified companies.The government has made the top businesses in the country responsible for their country’s development. According to estimates the CSR spend in India amounts to a cash flow of over INR 100 billion per annum. When an amount in this magnum is put into good use, it is bound to accelerate the development of a society. CSR, today, can be performed in any of the sectors like education, healthcare, environmental, humanitarian crises, and many more. In this piece, lets focus on the environmental sector that deals especially with waste management. The Swachh Bharat Campaign initiated by the Prime Minister has brought with it a fair share of enthusiasm from the citizens. With options like collection, segregation, and disposal of waste, raising campaigns on waste management, constructing clean toilets for the public who don’t have access to them, and many, waste management has a vast scope for improvement. Many companies opt for waste management as a part of their CSR regime and because of that the competition is really high. Having an innovative and unique approach to this, will help you bring your company into the limelight and help instil trust amidst your current customers and prospective ones. Most of the company have an independent department that is in-charge of CSR. If you are new to CSR, taking the help of local organizations to aid you in your CSR work is a great way to go ahead. If you are a SME, then pooling in your resources with couple of other SMEs will help you make a valuable contribution. Return on investment is a by-product of consistent efforts and disciplined approach towards CSR. Though it is generally defined as financial gain, it can also be measured in terms of brand equity you gain. It can be a relative vector, often immeasurable, but one that helps you realize an aspect of success. With waste management, you have an option of playing the game up close. 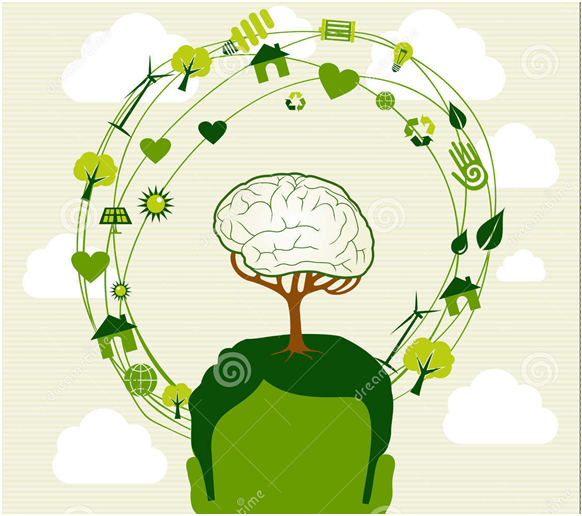 You can consciously put in efforts to reduce waste generation, reuse materials, and recycle sustainable materials. Though the ROI isn’t direct or immediate, you will reap in the benefits in the future. Small changes to carefully monitor your resources and consumptions will help you downsize your budget. Campaigning about your sustainability stories amidst the consumers is bound to generate interest and raise your value among both stakeholders and consumers. If going traditional in your philanthropy work isn’t your cup of tea, waste management might just be the right way to go. Make your employees environmentally literate by creating engaging programs that teach them core lessons and tricks to tackle these issues. Turn every waste as an opportunity to lead you into a better and cleaner world. Can you use the waste generated as an opportunity to look at a business opportunity, a backward of a forward integration perhaps. Green your company today, for a greener tomorrow.